Indy Lights Presented by Cooper Tires, Mazda Raceway – Laguna Seca, California, USA. 10th – 11th September 2016. Despite a subdued end to the season Dean Stoneman can reflect on a year in Indy Lights in which he left his mark on the US series. This weekend the Rookie had to deal with a series of issues in race 1 and even suffered a drive through penalty in an incident packed race as the leading contenders fought for the title. The battle scarred Brit brought his Stellrecht Mazda home in 13th in a race he would rather forget. Race two saw Stoneman looking to redeem something from the weekend to finish the championship as high as possible. The final race of the 2016 season however was to be no more charitable than the first and Stoneman was forced to battle hard again starting from 9th. The 26-year old drove an impressive race moving up to 7th before his car began to suffer from gear downshift issues, which resulted in him losing places. The Southampton based driver known for his determination managed to drag the Andretti car home to finish in ninth securing him 5th in the overall championship. In Stoneman’s Rookie year he managed no less than seven podiums including the famous Indy 500 Carb Day victory at the Freedom 100 where he secured a stunning victory in a grandstand victory in front over 150,000 race fans. 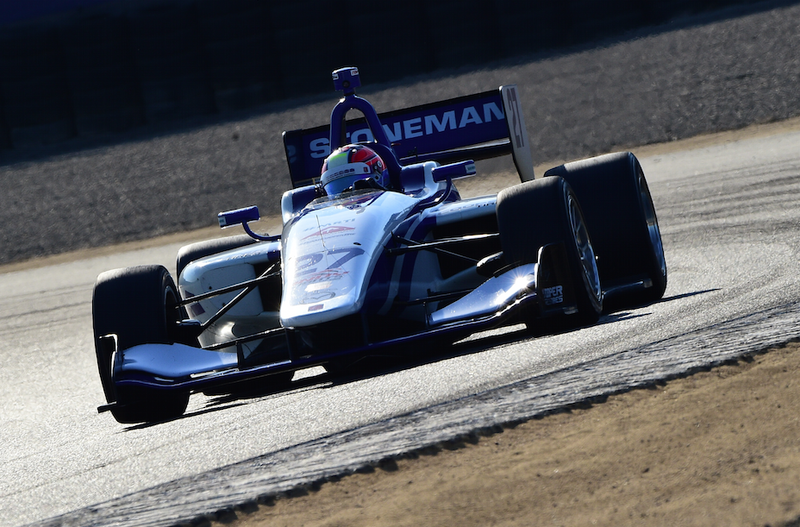 During the season he delivered an exciting brand of driving which the US fans appreciated and despite a couple of mechanical setbacks where we didn’t start two races he pushed the championship to the final rounds this weekend at the Mazda raceway. The Andretti driver finishes the 2016 Indy Lights series 5th in the championship.